I started this blog with the idea to have content for mothers juggling career and family. I have had this idea in my head for the longest time, but didn't think I had enough time or willpower to push it through by muself, so I asked a friend to do it with me. She didn't share my dream, so after one post 3 or so years ago, she kind of faded off the scene of this blog. I have tried to keep the blog going, not as successfully as I could be arguably as I really do have a busy life and multiple interests. So I was delighted and impressed when I stumbled on the Super Working Mum Facebook page over a year ago. From what I can see, she had a similar idea to me, but she actually pushed it through! I was amazed at how large the group became ( over 2500 members and counting, before she moved to the new Empowering Christian Mums group which is also rapidly growing). 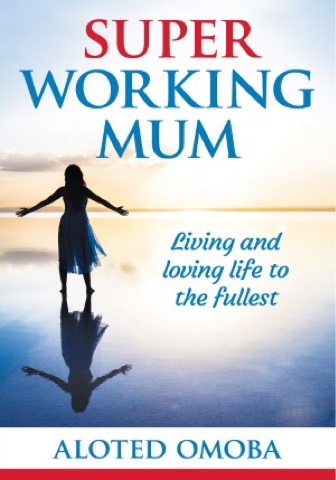 She had published a Super Working Mum book ( amazing book, check it out on Amazon HERE ), has a paid inner circle of ladies she moderates, holds regular retreats, takes on clients for one on one coaching, does tech and design work and is currently working on a journal, while juggling her family life with two kids! Talk about a Super Working Mum! I have learnt a few things from why SWM succeeded, which I think might be helpful to anyone embarking on a project irrespective of what type of project it is. 1) Invest in a mentor/ coach: I had several months of coaching this year and it was really helpful. Coaching and mentoring is something which is done very often in the corporate world and I wonder why many of us do not consider it in our private businesses and day to day lives. It helps you learn from someone who has gone on a similar path before and has good insight. No need to reinvent the wheel from scratch if you can just get a plan to start off from someone else and build up on it. Way more efficient. 2) Outsource everything you can: if you are reading this blog, you are likely a mother who is also busy either in your career or business. Learn to outsource where you can and focus your energy on areas where you can bring true value. This relates both to business and daily life. There are many e-companies that you can outsource various elements of your projects to. I will do a post on that soon. You should also get help around the house if you can afford to so that you can focus your energy in your family and be able to spend quality time with them. I wasted valuable time designing a banner and logo for this blog. Next time I update, I will be outsourcing the tech bit. Someone else who does this on a daily basis will be able to finish this quicker and faster that I ever could, while also doing a better job. 3) Define who your target audience is - where many people make mistakes is in trying to be all things to all people. In lean sigma projects you have to define strictly what is in your project scope and what is not. You also have to define what area this will be applied to. If you have a product that can do anything for anyone, it's not likely to do very well. Try to get a picture of your ideal customer and keep them in mind when designing your product. An example could be "Christian mothers that homeschool" or "mid 30s guys who likes to cook" etc. 4) Pray - sometimes we have desires and it's important to make sure that they are aligned with the perfect will and purpose of God for our lives. Not a ideas need to be given life and we should seek divine insight and guidance in our decision making. 5) Stop thinking, just do it: this is the area in which I struggle the most. It might have something to do with me being a perfectionist engineer. I always try to remind myself that "Done is better than perfect". There are many project that I have still birthed because of this. On the other hand, proceed cautiously and don't birth projects prematurely and without thinking them through. 6) Do not be afraid to kill some projects: if you are like me and have many interests, you will generate lots of ideas. Some ideas are good and some are bad. Some ideas should never have seen the light of day. You can also finish a project by admitting that it will never happen and closing the page on it. Like that language you have wanted to learn for 20 years, or the quilt you started making 5 years ago or the dead end volunteering you are doing which is not bringing any joy or value to you. Killing off dead-end projects is like decluttering, it helps you free space for more important things and also helps you breath better. Make a list of the dead end projects in your life and start killing them one by one. In fact we should do a "Kill a project today" challenge. Write in the comment box about a project you will be killing today. 7) Do not be afraid of competition: As Aloted wrote in the SWM book, the only person you are in competition with is yourself. Have the self confidence to be yourself and "Do You"! Can you think of any further tips? If you are reading this and you can, please share! Love your post. Well done. I can relate so much to your comments on blogging momentum (or lack of lol). Life somehow seems to always get in the way and there' no 'super fix' to this problem. Everyone finds a solution that fits their situation. Thanks for your comment Soji.